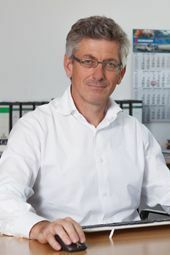 DTG GmbH Development & Technology was founded by Managing Partner Dr. Ing. Rudolf Hannot in 1988. In the first years of DTG GmbH’s existence, we were focused on manufacturing and marketing special industrial gaskets. Our scope of activities, however, continued to expand. Today, for example, DTG’s fields of activity cover forming technology and sample and serial production of stamping and deep drawn components for the automotive industry as well as edging and cutting work in the field of sheet metal processing. 1990 saw the beginning of DTG’s import business from China. With the opening of our procurement office in Hangzhou in 2000 and our subsidiary in Shanghai in 2008, step by step we expanded the import business to become one of the mainstays of our company. Today at DTG, we procure a wide variety of industry supplies and OEM products from China for German and European sanitary and automotive industries as well as for general mechanical engineering purposes. Our integrated purchasing system “Global procurement service“ offers our customers significant advantages when sourcing from Asia. Since 2001, DTG has been specializing in the field of development and in problem solving. This saw the beginning of our facility service division which today has a team of five engineers who are in constant contact with our customers in order to optimize their industrial facilities. In 2008, DTG GmbH founded a subsidiary in Shanghai. Further fields of our activities are maintenance, repair, servicing and inspection. For example, DTG has carried out major projects i. e. the construction of dryers and furnaces at Lanxess (formerly Bayer) in Dormagen. At our headquarters in Niederzier, situated between Cologne and Aachen, our team of engineers, designers, technicians and production workers takes care of promoting and further developing our business on the strong company foundation which we have successfully laid over the years. Our sales and planning operations are supported by a network of license, sales, planning and service partners all over the globe with a strategic focus on the Far East.